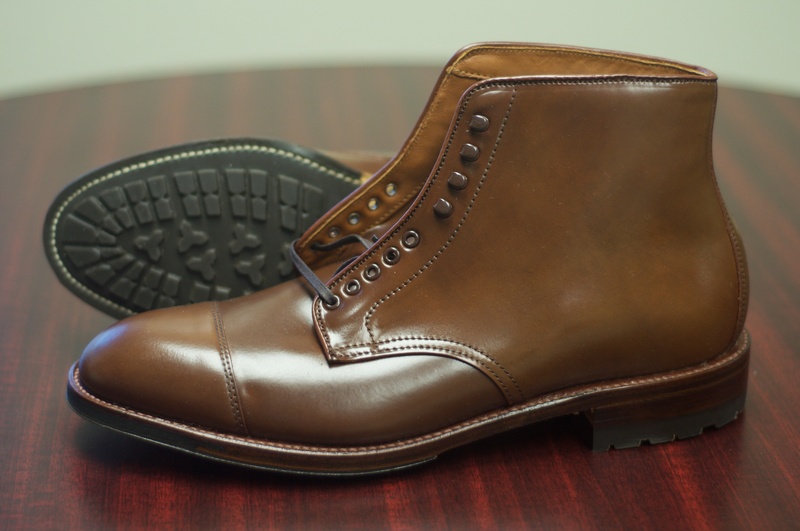 For your consideration, I am selling the Cap Toe Boot in size 10.5C. 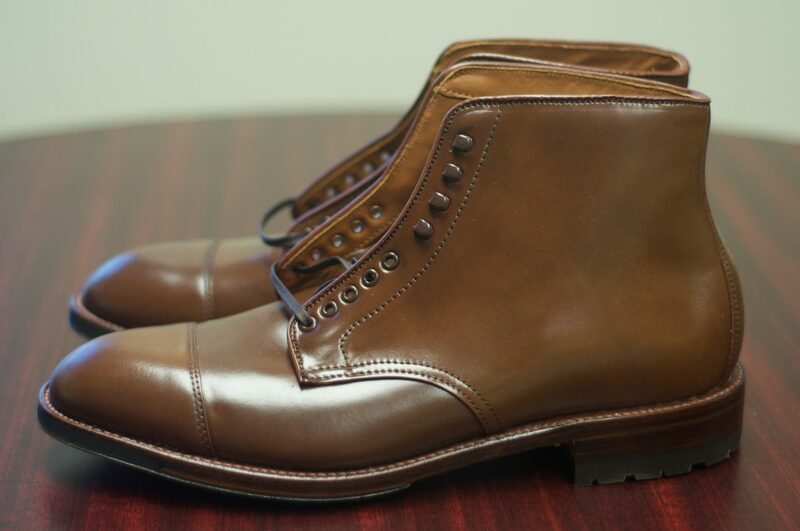 These beautiful boots were made in 2017 and feature a rich Ravello color. 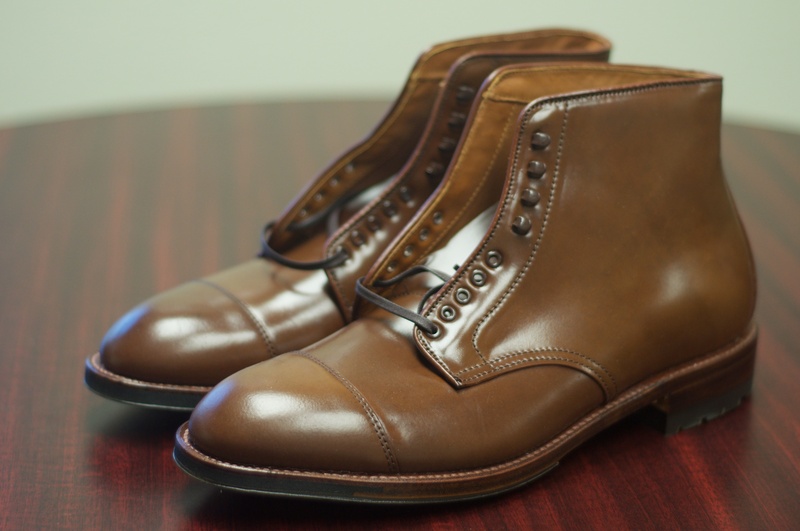 These boots were specially made for Alden of Washington D.C. 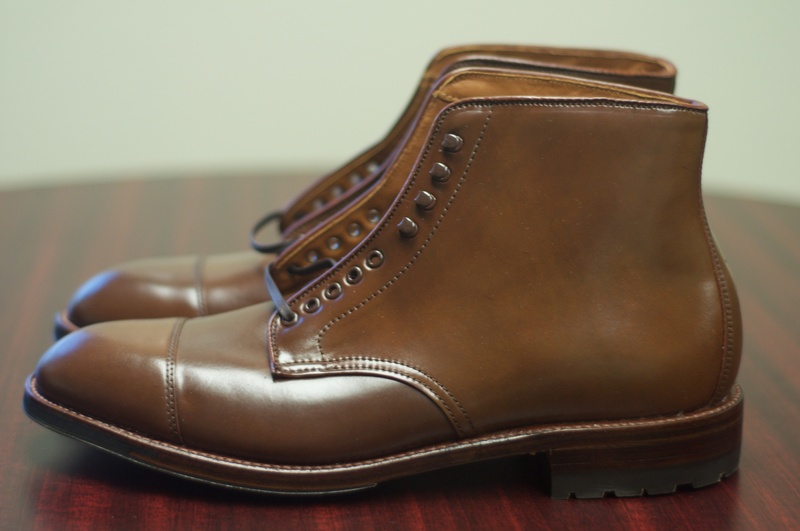 These boots were made around the Grant Last, which tends to fit True-To-Size (TTS), thus they are recommended for someone who is a 10.5C TTS. These boots were sold as first quality and are made of the exclusive Ravello Shell Cordovan and have the coveted “Antique” Edges and the famous Commando Sole. These boots are in perfect condition. I am selling them because I already have a pair from Leffot and decided to stick with the leather soles. It comes with the original Alden Shoe Box and the Alden Shoe Bags. Please let me know if you have any questions or inquiries. These shoes are in brand new in box condition! No returns will be accepted, please know your size! I will only ship within the US. If you are outside that, E-mail me, and I will decide if I am willing to ship to you on a case-by-case basis. Hello! I️ am assuming these are already sold. But on the off chance they arent, I’d like to purchase them. 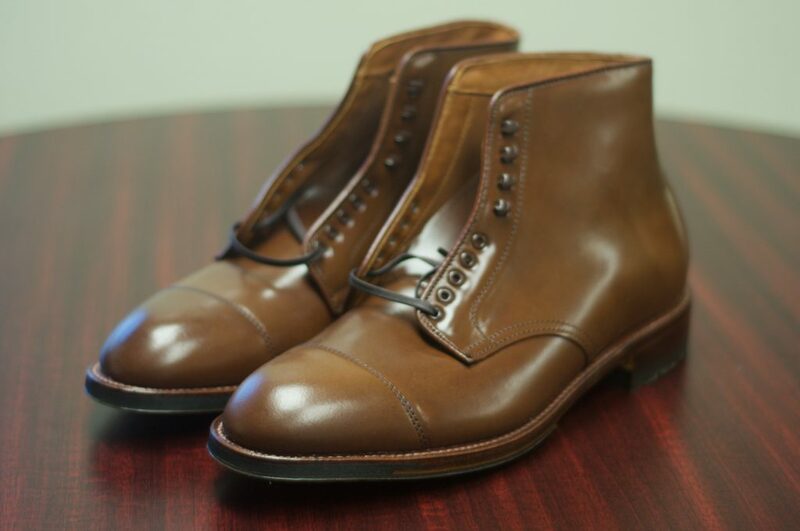 Do you have any rare Alden shells you are selling? Thanks! Unfortunately these boots have already been sold. Thanks for your interest.